Giselle Sayed is a Legal Adviser in the Property Department dealing mainly with residential sales and purchases of freehold and leasehold properties, transfer of equity and re-mortgages. 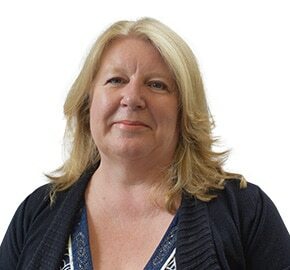 Giselle has been with the firm since October 2012 and has over 35 years’ experience dealing with residential conveyancing transactions within local law firms. Giselle’s aim is to guide you through the conveyancing process in a friendly and approachable way, putting you at ease at every stage. In Giselle’s spare time she enjoys spending time with her children and perfecting her cookery skills.